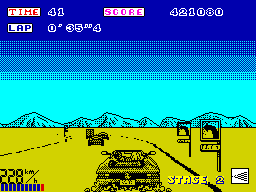 Currently going gang busters on the slave CPU road code. It's big, it's ugly, but it's unfortunately necessary to translate a large chunk to C++ before I can proceed with more visible aspects of the game code. 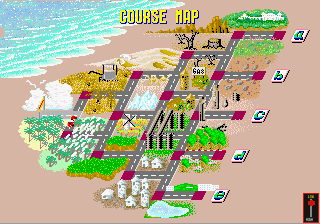 The level generation is highly dependent on it. Even after translation, I expected to spend a couple of weeks doing a line by line debug - Visual Studio vs. Mame Debugger. Let battle commence. 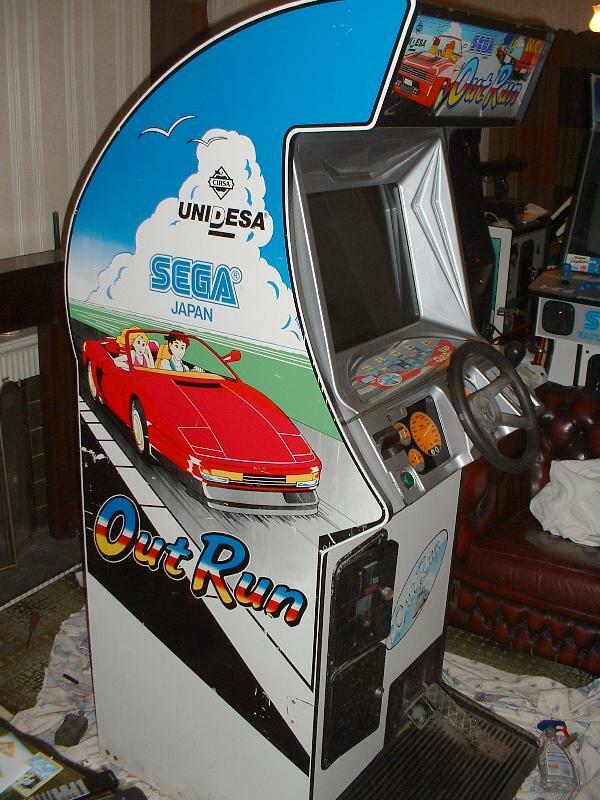 Meanwhile, Garnet Hertz provided an update back in October, with regard to their real life OutRun driving cabinet. A big step forward; I now have full sprite support in my framework. 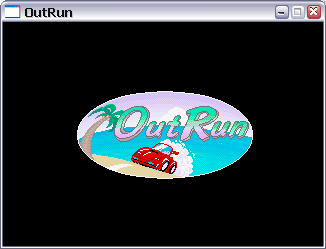 Furthermore, I have ported all the low-level OutRun routines from 68k to C++ that abstract the sprite hardware from the general game code. This was a considerable effort and required some serious debugging. 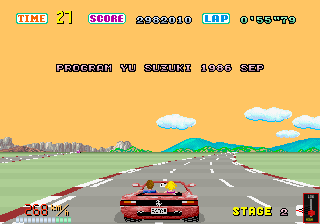 High-Level OutRun Game Code (68k) -> Low-Level OutRun Sprite Routines (68k) -> Video Hardware. Setting rendering hints based on horizontal flip bits etc. So progress is good. Once I get to the stage where there is something more interesting, I'll release a demo build. 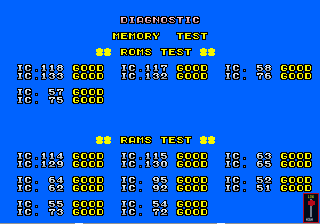 - Read the tile and data roms into memory. 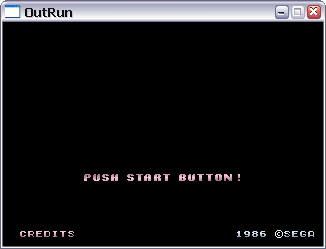 - Ported emulation code to emulate the text layer and convert the pixel format. 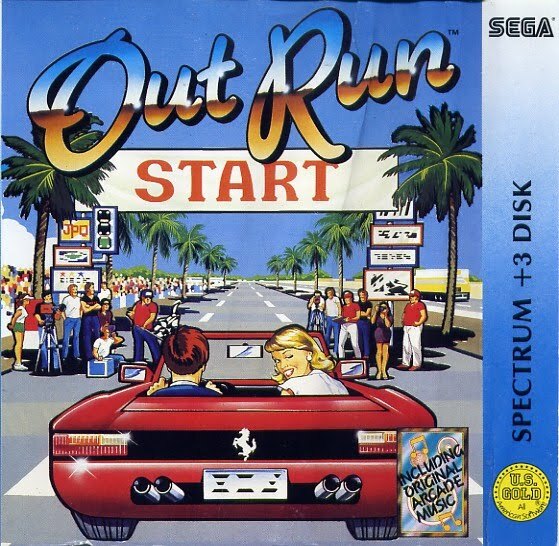 - Rewritten three 68k assembler routines decompiled from the OutRun source code. 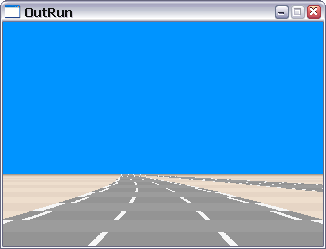 The end result is that I can now use a fully ported C++ routine that blits text, in the form of tiles, to the screen. 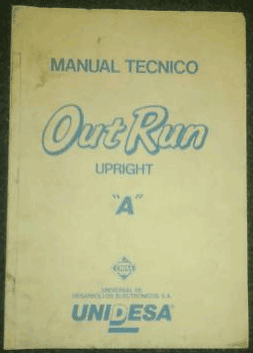 This routine takes the precise same input format as the original code. 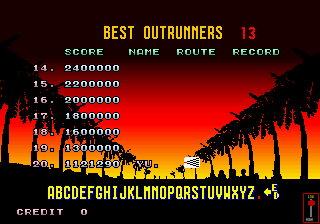 In the following screenshot, I've called the routine to display various text strings from the game. A simple call to blit_text(address_of_text_data) renders the text with the correct palette and screen positioning. Exactly the same as the original assembler. 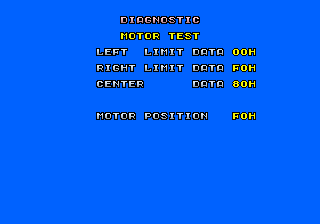 The structure of the text data (which contains palette info, tile info and screen positioning) is pulled straight from ROM. 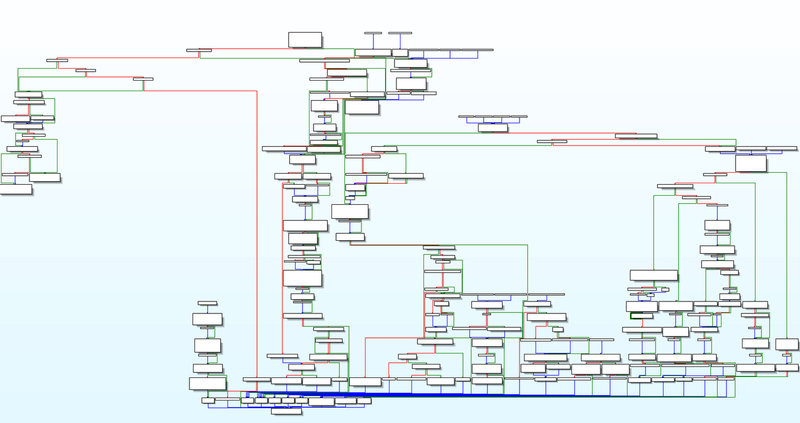 Although I imagine I will eventually extract such data structures so that they are completely native. I appreciate that drawing some text isn't particularly riveting, but the first steps in a project are always the most laborious. I'm pretty happy with the way things are going. Decompilation is complete: 13 months later, over 400 subroutines, ~20,000 of lines of commented assembler (a rough estimate) and countless late nights. 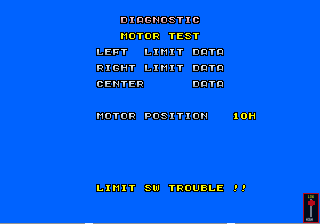 Sitdown Motor Code. I have only decompiled a small portion of this, as it's not particularly useful for the rewrite. It's also hard to verify without a simulation of the hardware. Having said that, I've decompiled and commented the motor code for both the upright hardware variants. This could be adapted to a simple rumble controller easily. Z80 Sound Code. Currently, this isn't needed. The master 68000 CPU triggers the sound samples and sets sample volumes for the engine pitch. 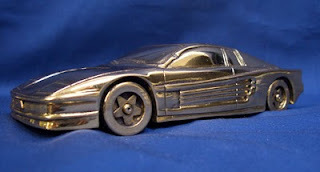 Therefore, it's straightforward to work out what is going on without resorting to lower levels. I may decompile this at a later stage out of curiosity. Complex Algorithms. There are a minor number of routines which, although commented and broadly understood, could be better explained by someone with a better knowledge of Maths/Physics than myself. In many cases it's obvious that a routine is performing a square root or similar. But there are certain routines that I might have not fully grasped. Nevertheless, I am confident I have done enough to convert these to meaningful C routines that aren't gibberish. I'm sure I'll find and fix mistakes in my comments as I convert the game. The upcoming enormous challenge is to rewrite the game engine in comprehensible C++. I will be releasing the rewritten source code as I work, so that those interested can follow my progress. I initially expect visible results to be slow, so please be patient. If there are any questions, please post in the comments and I'll happily answer anything sensible. 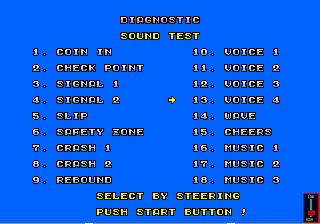 The crash code is now complete, and it was more complex than I'd anticipated. On the other hand, the logic to automatically control the player's car during Attract Mode is a lot simpler. 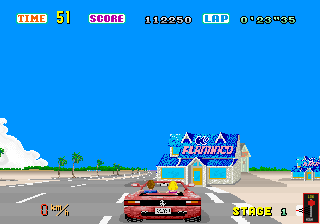 The code can be quite basic, because the traffic in OutRun intelligently attempts to move out of your way. A simple detail most home conversions didn't pick up upon. // Check upcoming road segment for straight/curve. 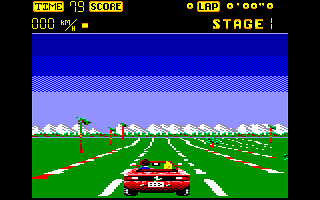 // Choose route from pre defined table at road split. 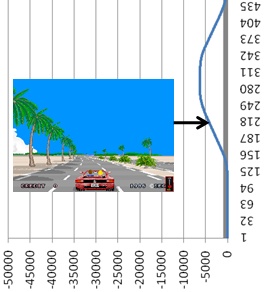 // Set road curve value based on hard coded road data. 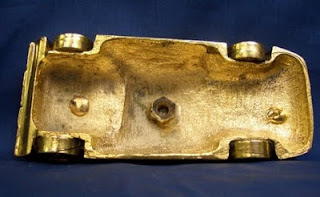 // toggle brake on bends. 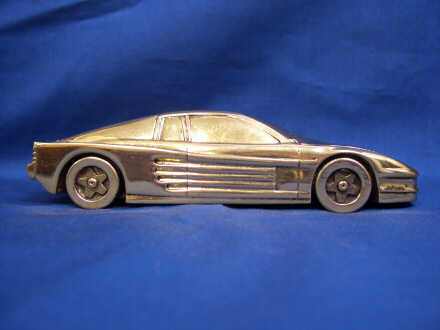 Fewer than 100 were produced and presented to the top tier arcade game distributors. 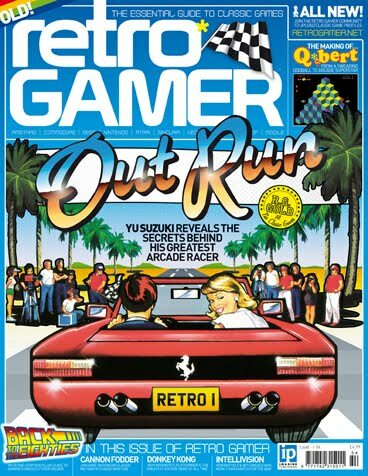 The only information I know about it is that it was given out by Sega, apparently as part of a trophy to retailers who sold copies of Outrun. 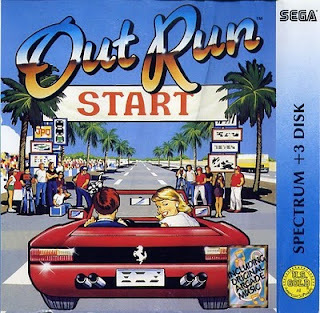 The back of the car, right behind the rear window, "OutRun" is engraved in it, and the license plate says "Sega". 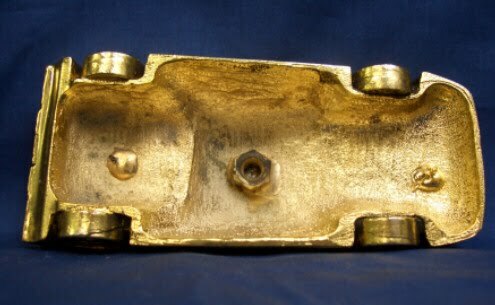 The bottom also has a nut on it, which is a definite indication that it is the top piece to some kind of trophy. After I bought it 8 years ago, I have never been able to find any other information on it since. They were salesman samples so they are quite rare, They were made to show Sega some of the advertising possibilities they could choose from and I got them directly from the salesman who had them made. 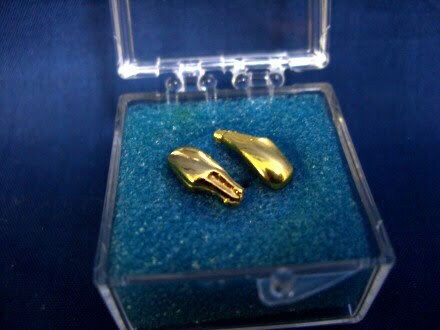 He tells me they were never displayed, only passed around by top executives at Sega. A gold plated Golden Axe branded axe was also thrown in with the bundle. Does anyone else own one of these? 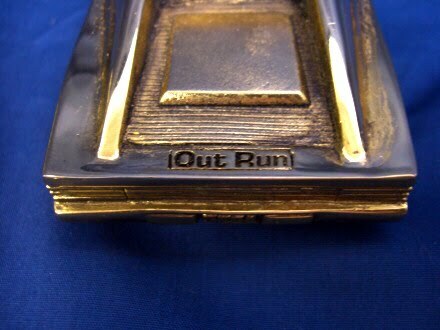 And does anyone know whether it was in fact part of a trophy? 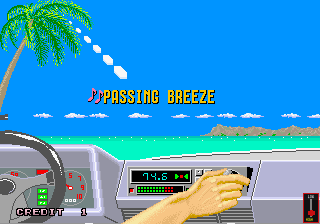 Out of curiosity, and to follow up a previous post, I examined some of the Super Hang-On code to figure out the level of code reuse between the games as they share the same hardware. A quick glance at the code shows that a lot of the core routines, responsible for generating the road detailed in this post are identical. 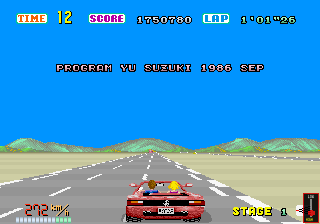 It appears that the slave CPU code to handle road splits is removed from Super Hang-On. 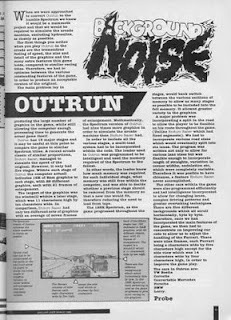 It's probably not a surprise, given that there are other obvious similarities between the titles, including some of the sampled sounds being identical. Now the OutRun hardware supports two road layers. 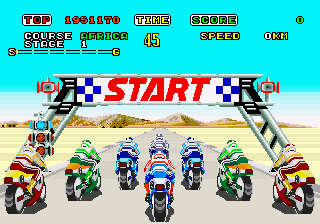 But as far as I know, Super Hang-On only uses a single road layer. 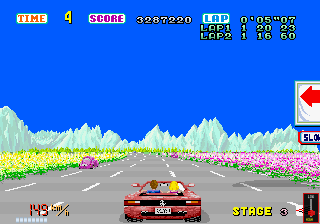 Interestingly, there was a conversion of Super Hang-On to the Space Harrier hardware, which only supports a single road layer. 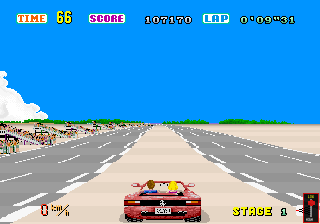 Presumably, OutRun wasn't converted in the same manner, because of its reliance on two road layers for the wider roads (even when two distinct roads aren't displayed, the two road layers are sometimes in use). 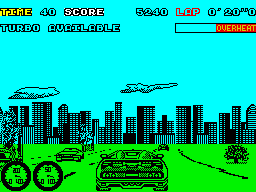 One other example of code reuse I've found is between OutRun and Sonic the Hedgehog 2 on the Megadrive. Both games share the same random number generator, right down to the default random seed that's used. 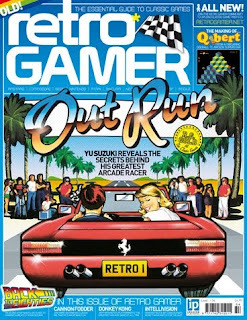 Back in 2008, RetroGamer magazine ran an interview with Yu Suzuki discussing the development of OutRun. 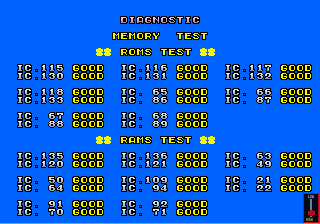 In other news, I've returned to working on the Master CPU decompilation at the moment. 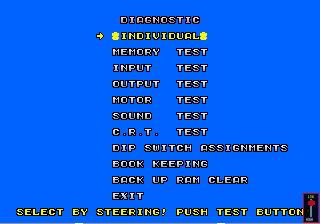 There's still a heck of a lot of code to plough through, but it's relatively trivial compared with the previous Slave CPU work. Yesterday proved a little more fun. 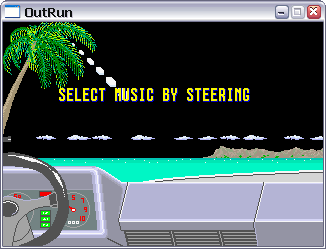 Whilst debugging the slave road CPU code, I figured out how to change the level order in OutRun. 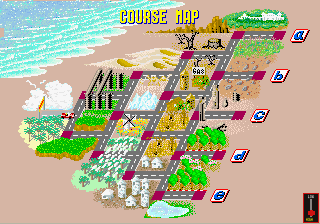 Using this, you could easily make a level select. 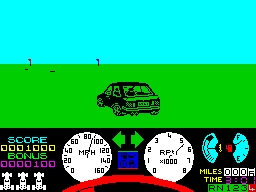 Also found a way to have the road data from one level, with the object data from another. It doesn't always work, but does allow you to make some interesting permutations. 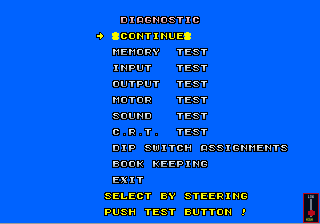 Some level data for Stage 1 is also hardcoded, but when I finally rewrite the engine in C, this will be trivial to solve. Spent most of yesterday working on the code that runs on the slave CPU. On a positive note, there isn't much of it. 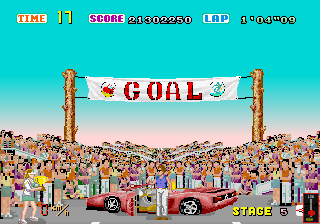 The code is minimal compared with the main CPU. It's a loop that handles rendering the road. On a negative, progress is slow. 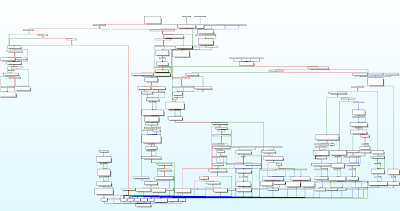 I spent most of the afternoon trying to figure out a few hundred lines of assembler and now feel like gouging my eyes out.